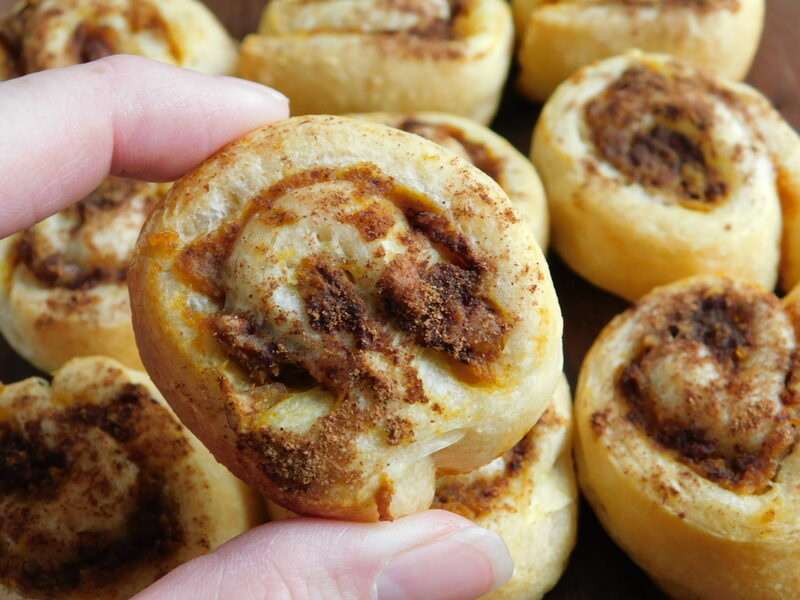 Pecan pumpkin pinwheels - Drizzle Me Skinny!Drizzle Me Skinny! Thanksgiving is slowly approaching and you might be getting ahead of yourself and looking for simple sweet treats to serve your guests. 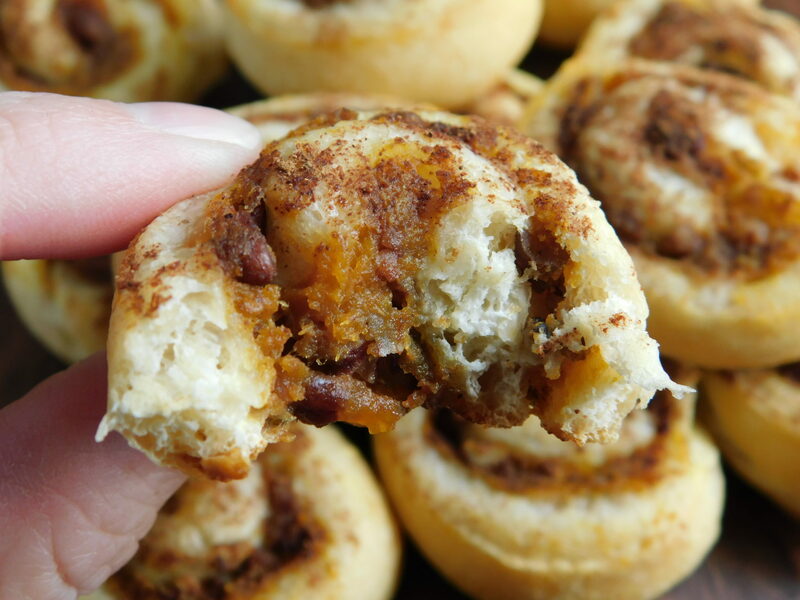 These pecan pumpkin pinwheels are so easy to make and a great treat to add to your holiday table.. 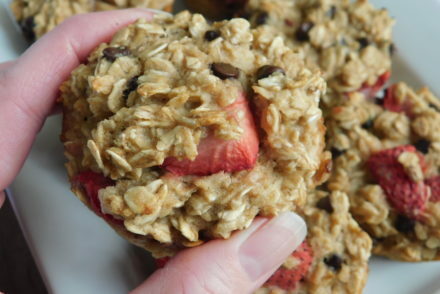 They are best served warm out of the oven but also if you want to make them ahead of time they reheat well in the microwave, just pop them in for a few seconds.. Only 48 calories and 2 smart points each! 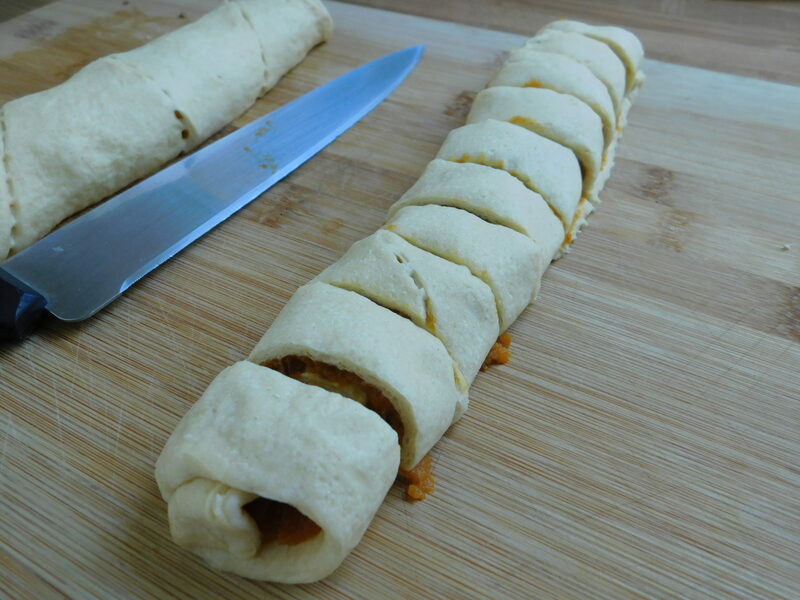 Unroll your crescent dough and separate into two pieces (4 crescent rolls to each piece) pinch together any holes there might be. 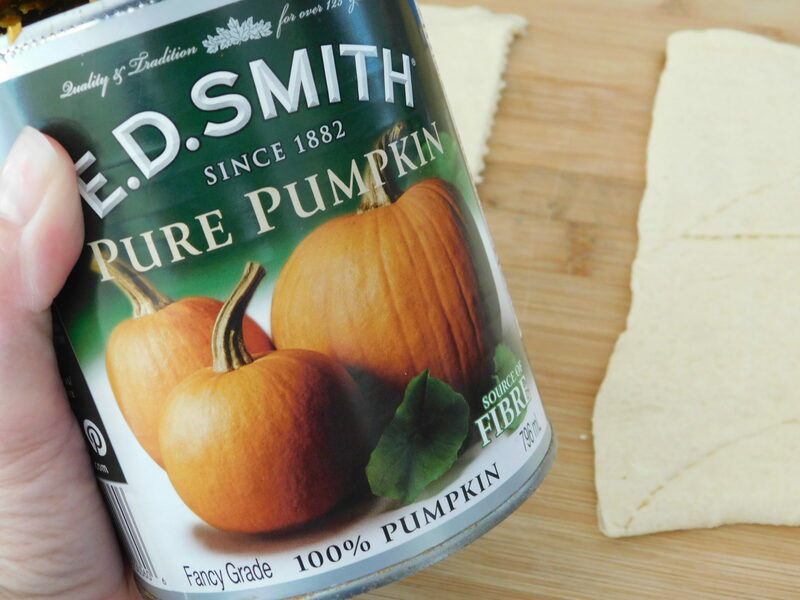 Spread ¼ cup pumpkin puree onto each piece of dough, top each with 1 Tbsp of honey (you may want to put in a small zip lock bag, cut of tip and drizzle, to spread evenly) top with 1 Tbsp chopped pecans on each piece. 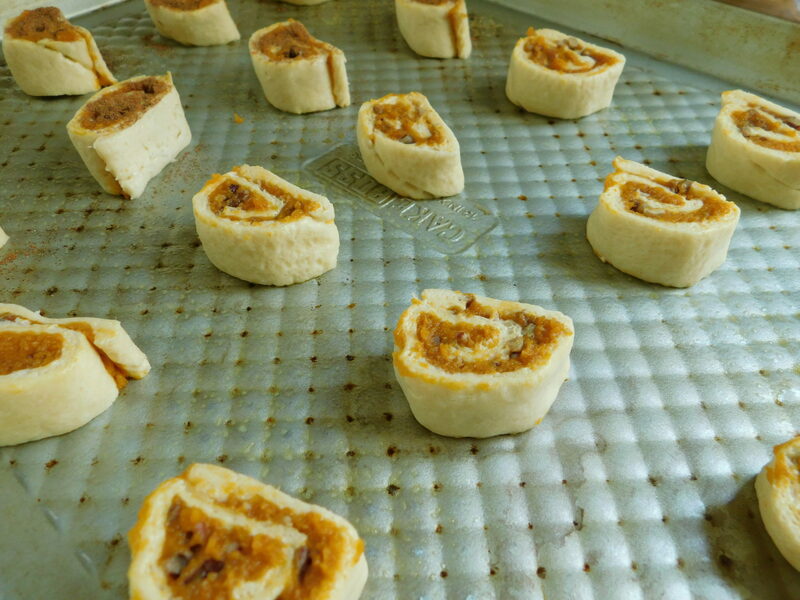 Roll up dough pieces (long way) and put in freezer for 30 minutes. 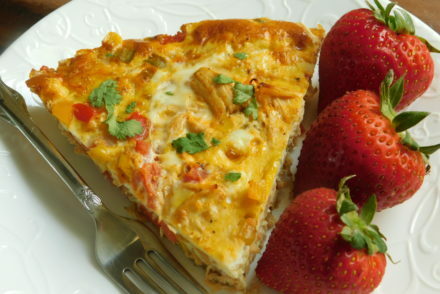 After they come out of freezer preheat your oven to 375F and spray a large baking sheet with some cooking spray. Using a serrated knife cut each roll into 10 pieces, I find the best way to cut is slowly cut into your dough then once you have broken through push down quickly to finish your cut. Place pinwheels on cookies sheet, you may want to use a knife to help place them so they don't stick to whatever you cut them on. 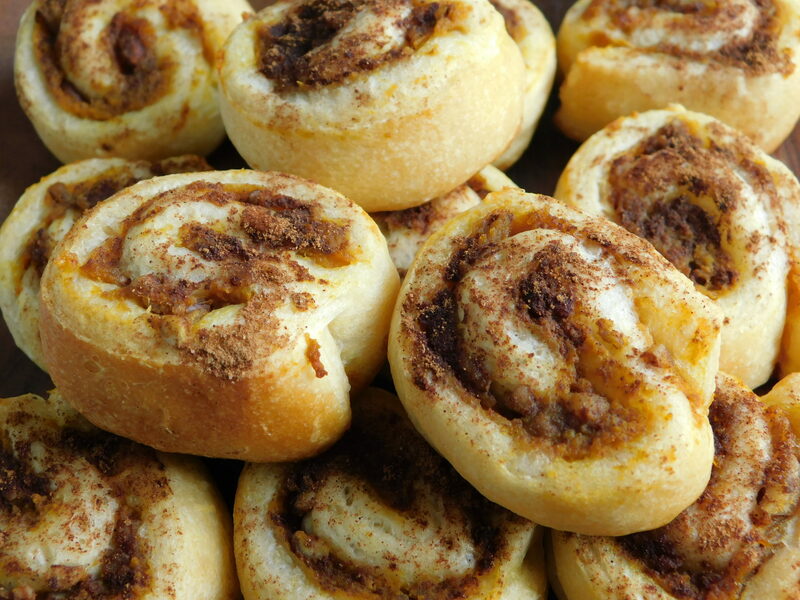 Mix your sugar and cinnamon together and sprinkle on top of pinwheels. Bake in oven for approx 10-12 minutes until dough looks golden brown ..Serve warm. 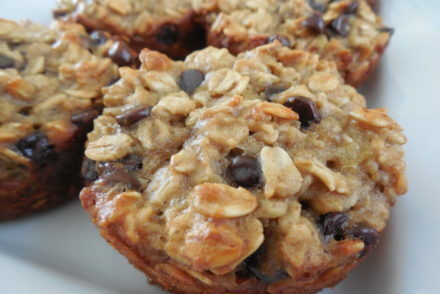 Are these good once they’ve cooled too or do they warm up well with a microwave? 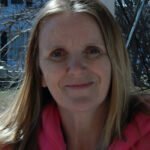 Try using dental floss to cut them. 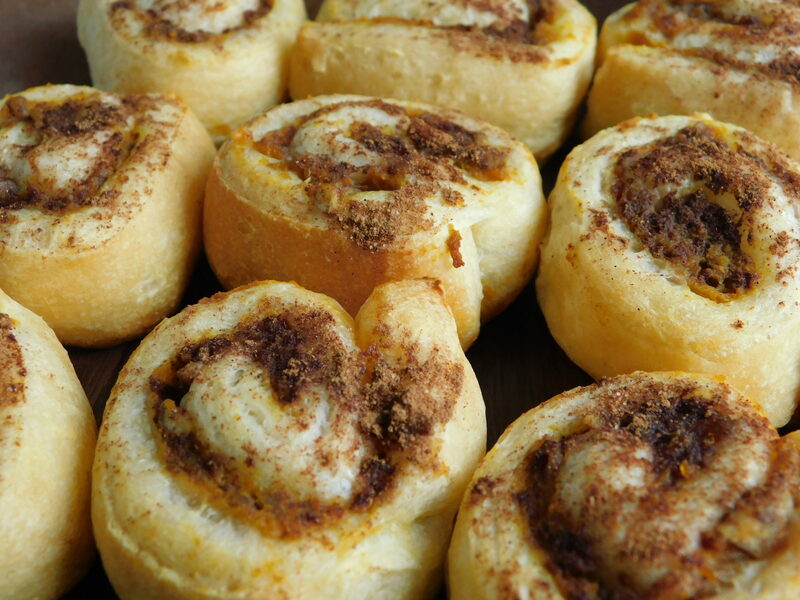 My mom used to do this when she baked cinnamon rolls. 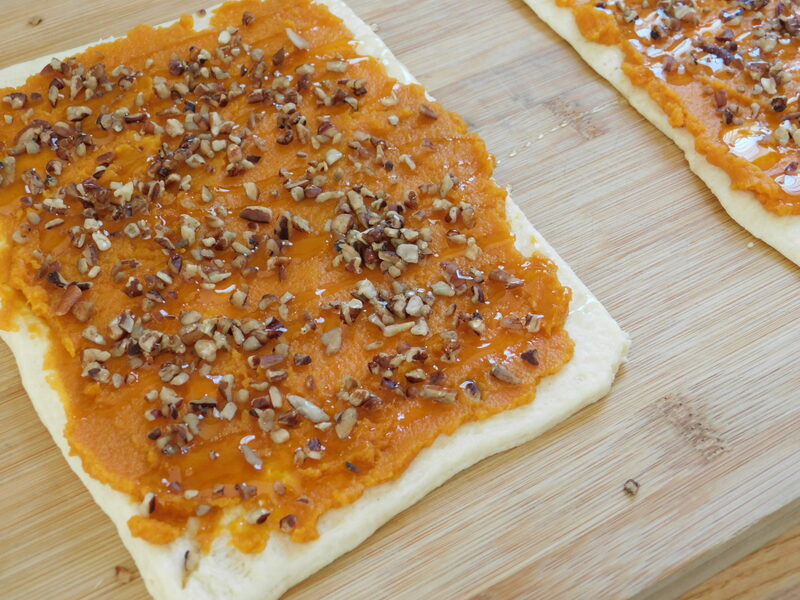 Take a fairly long piece of floss, slide it under the dough, criss-cross the ends over the top and pull.